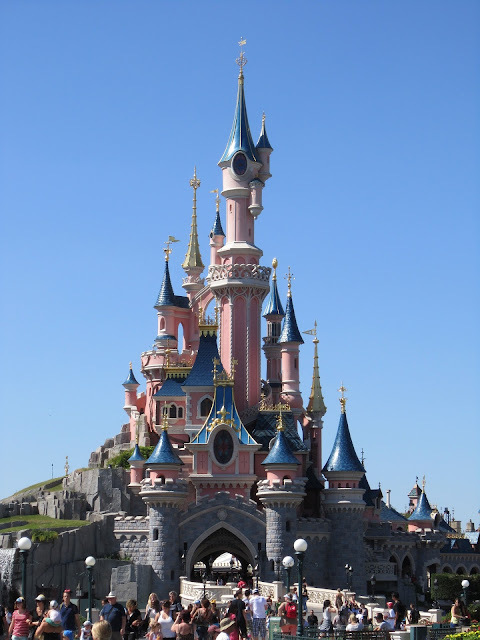 This is the second part of a 2 week blog about ‘What’s inside the Disneyland and Disneyworld castles’. To finally see the Anaheim Disneyland castle after so many years was a dream come true for me after wanting to see the castle since I was 5 years old. It was a particularly poignant moment when watching the light show Fantasmic for the first time at Anaheim, I saw the fireworks over the Disneyland castle, and it was just amazing and just like I imagined. My night photography is unfortunately not so good, so thus no good photos of that night. Below is a brief description of each castle and what is actually in it. Anaheim Disneyland opened July 17, 1955. The castle reaches 23 metres high, though it appears taller due to some clever building tricks using perspective. The upper level of the castle initially never held an attraction. In April 1957, visitors were able to walk through the castle and view several scenes depicting the story of Sleeping Beauty, the story is told through some medieval writing in a giant story book. The walk through area is dark and you genuinely feel like you are inside a real castle due to the dim, dark, atmospheric surroundings. The walk through was closed from October 2001 until July 2008. My favourite part was a mystery bolted door, that when you got close to it, rattled, like something was in there trying to get out. This spooked everybody!! 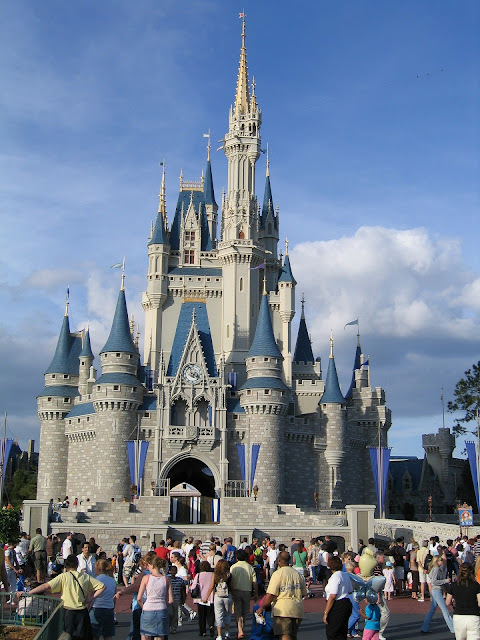 DisneyWorld, Florida opened on October 1, 1971 and is based on Cinderella’s Castle. It is 57 metres high. 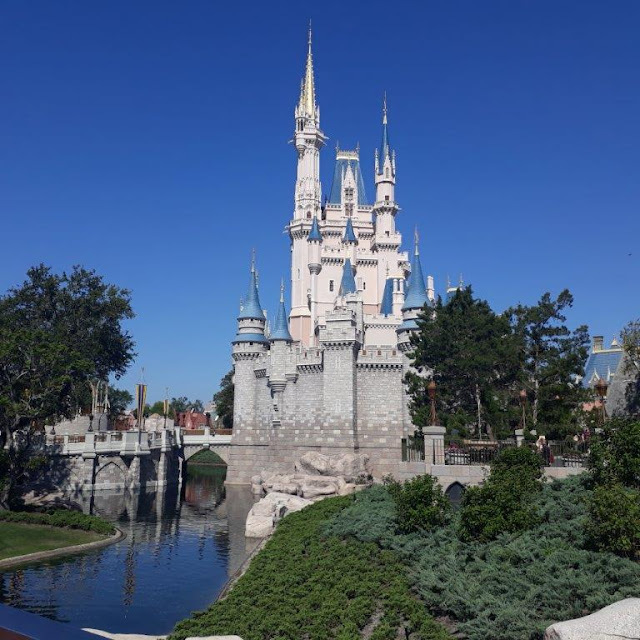 There is an urban myth, that during a severe hurricane, the castle can be quickly dismantled, but this is untrue and the castle has been built to withstand strong winds. The Disney family originally planned a special suite for the family to enjoy, but with Walts death in December 1965 it became more functional as a telephone call centre, a dressing room and a dream suite hotel room for VIP guests. As of September 10, 2007, the castle is home to the "Bibbidi Bobbidi Boutique". The boutique involves guests receiving a "princess transformation". Cinderella's Royal Table is a restaurant located on the second floor of the castle. Disneyland’s castle, Le Chateau de la Belle au Bois Dormant, standing at approximately 50 metres tall is generally regarded as the best Disneyland Castle in aesthetics. This castle features stained glass windows, tapestries, a balcony look out area and a 24 metre animatronic dragon underneath the castle. The dragon occasionally wakes up, puffs smoke and roars. 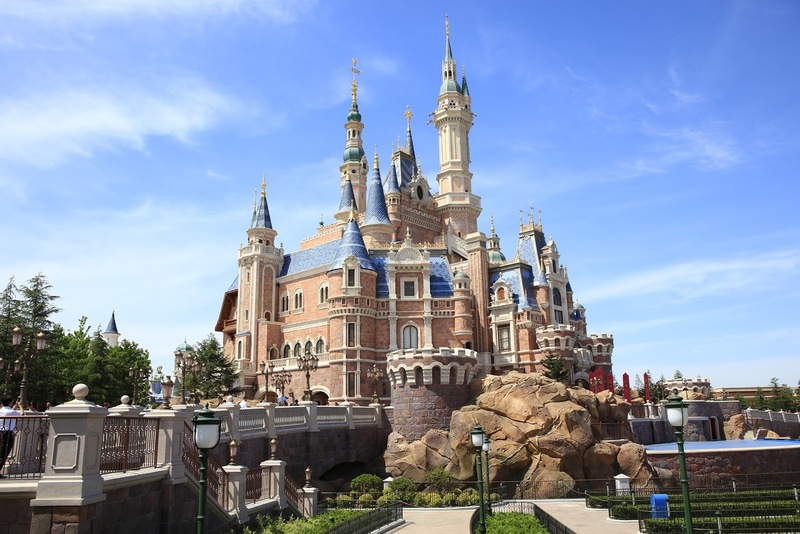 Shanghai Disney Resort has the Enchanted Storybook Castle which is the most recent castle, opening on 16th June 2016. It is the largest at 60 metres tall. 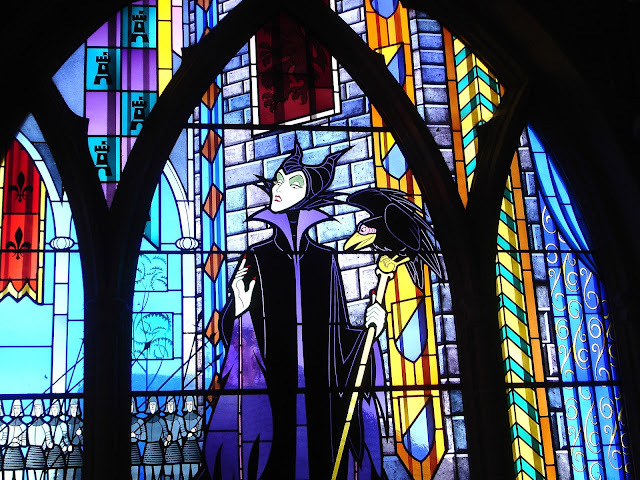 Inside are murals depicting Disney cartoons and dedicated to all the Disney princesses, including princesses from ‘Frozen’, Tangled’ and ‘Brave’. There is a restaurant called Royal Banquet Hall, and part of a ride called the 'Voyage to the Crystal Grotto'. The boat ride takes guests past scenes from the Disney films such as Tangled, The Little Mermaid and Aladdin. Also, there is a princess meet and greet and another Bibbidi Bobbidi Boutique princess makeover experience inside the castle.